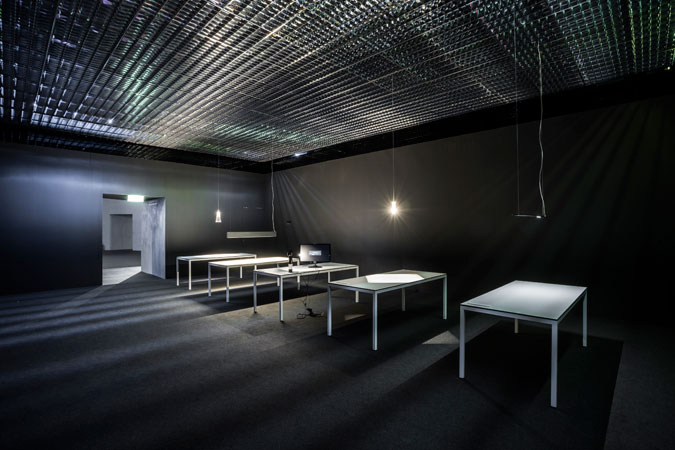 To Jean Nouvel, Pritzker Prize 2008, Cosmit has commissioned the side event of i Saloni 2013, translating deep transformations that have been featured, in the last years, in domestic as well as work spaces. In the 1.200 square meters of pavilion 24 of SaloneUfficio, the architect explores the possibilities of buildings through the refuse for clonated, alienating, standardised and serial spaces of today’s offices and suggests to both exhibiting and visiting companies new paths to take in the direction of alternative aggregation ways. 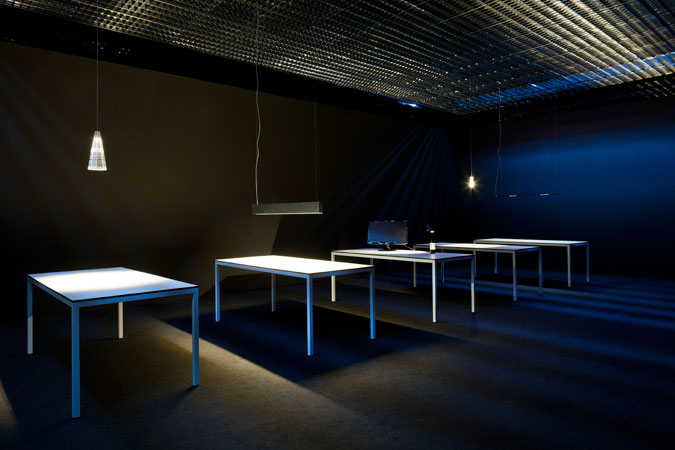 A proposal and study geared to breaking with the monotony of traditional standardised office lighting: suggestions for artistic and pictorial lighting, complemented by a number of individual light sources. 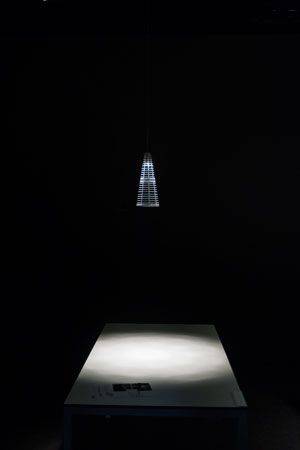 Light has a dual character: the suspended ceiling essentially becomes a coloured, reflecting support, a sky, a mysterious luminous roof in which colours vary depending on where are seen from, according to the intensity and nuances of the reflected objects on the ground. 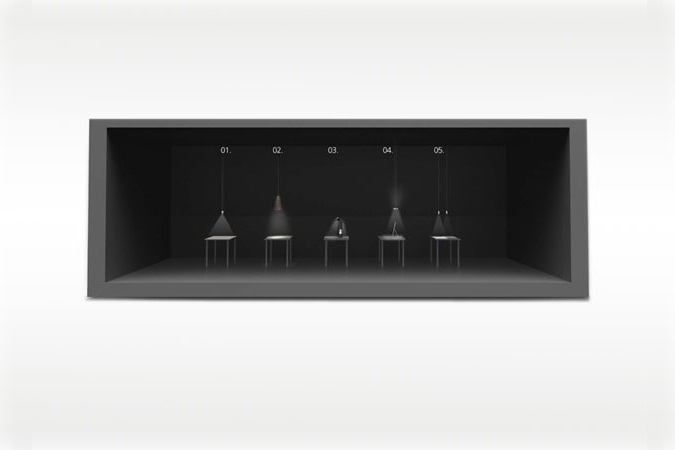 Work surfaces are individually lit by lamps either atop them or suspended from the ceiling, this imaginary light laboratory also contains prototype lamps, providing hitherto undreamt-of lighting solutions. 1- fluid Shaping light. Fluid, homogeneous, shapes the work surface by generating spells of light and shadow. 2- eco Emotional light. 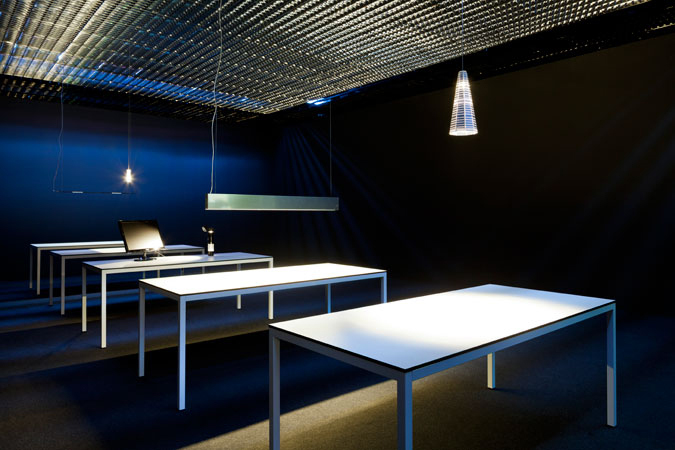 An eco-friendly design in which light fosters efficiency, emotion, rapport and decompression by explicating a new relationship between space and time at work. 3 – personal Multilight Performance. 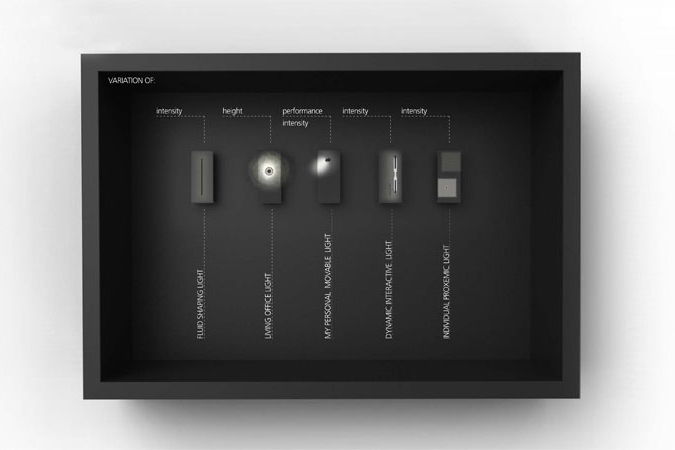 Three performance lights in a single personal project/object: soft ambient lighting, regulawble professional performance, a mobile light projector that illuminates the surrounding space. 4 – free Interactive light. Enables people to control their own lighting in a collective space: it provides luminous interface through technological devices. 5 – proxemic light. Marks out the space between individuals while respecting relational proxemity. 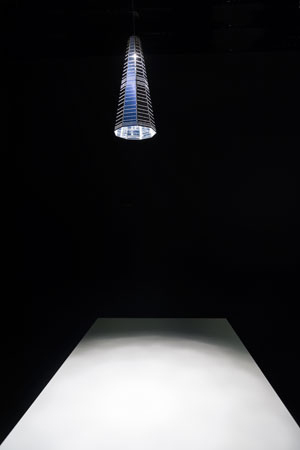 Lighting project with Studio Carlotta de Bevilacqua. Architectural project and concept for “Office for living” by Jean Nouvel Studio. Commissioned by Cosmit for Saloni 2013.